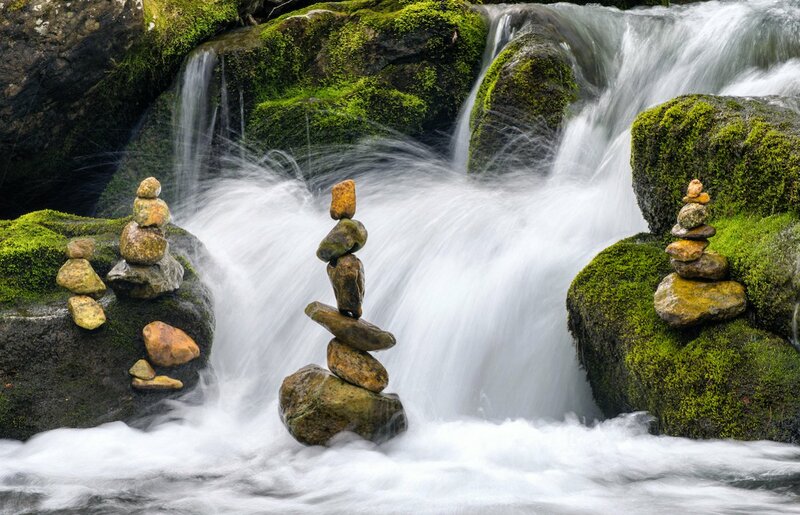 Clear statement of subject ( stacked stones ) with theme accentuating the art. Beautiful picture! Nice to have some humor in your shot. Nominated. Thanks all for the nominations. I regret I posted jpeg quality of only 85, but the pixel constraints of posting cause lost resolution anyway. The K-3 renders the rocks in a beautiful fashion in the full version. But as you see, I'm in the river, so it's the weather resistance of the K-3 and lenses that helps me here. I've completely dunked the gear walking in hard currents once or twice, to no ill effect.